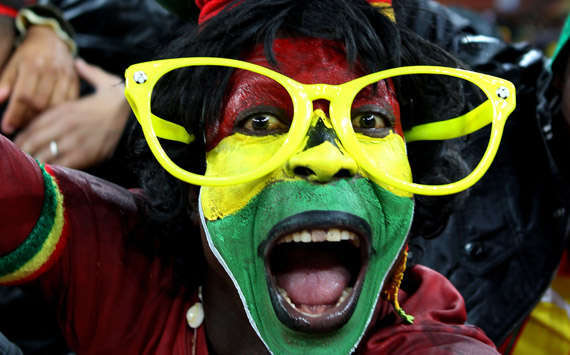 Tomorrow sees all the colour and lure of African football take centre stage once again. Tomorrow sees the kick off of this year’s African Under 20 Championship with Nigeria heading into the tournament as the favourites. The reigning champions beat Cameroon in the final two years ago and will take motivation from their senior side’s success in the recent African Cup of Nations, where they lifted the trophy for the first time in 19 years. In the group stage they face Mali, Congo and Gabon, in which they have drawn lucky by avoiding the other two previous champions Egypt and Ghana. Egypt and Ghana join Algeria and Benin in Group 1. A tough tie against hosts Algeria could eliminate one of the favourites early on and potentially jeopardise their chances of a place at the FIFA U20 World Cup in Turkey later this year, which only comes with progression to the semi-finals. In 2011, Nigeria beat Cameroon after extra-time but this year the runners-up inclusion in the tournament is scarce. Nigeria’s toughest competition in qualifying from the group stage will come at the hands of Mali, who finished a respectable fourth in 2011. For hosts Algeria, this is their first ever tournament but will take light from the fact that African teams seem to perform well on home soil. In 2007, Congo won the tournament in their own country and in 2005 Benin defied all odds to finish third. Burkina Faso also finished an impressive fourth in 2003 when they hosted the tournament. The Youth Radar will mainly feed updates of the tournament via Twitter, so keep posted their, but expect the odd catch-up and article about the tournament on the main site as we look forward to the FIFA U20 World Cup! Nija wil at list finish 3rd,2nd or 1st no dull moment 4 us.